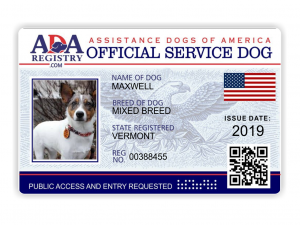 | More Information About Service Dogs | This Is Not A Registry. 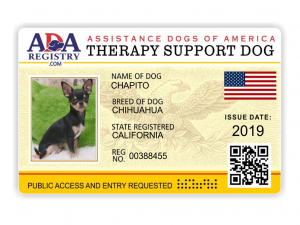 We Offer Service Animal Products Only. The Standard Kit Includes Official Vest With official Patch, ID Card, Tag For Collar & Clip On ID Holder. 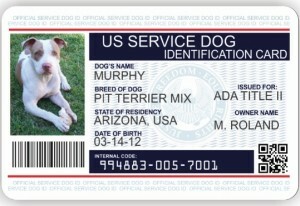 The Premium Kit Includes A Photo ID Card. Due to the care and customization we put into each and every order we do not offer overnight shipping. This form does not include any registration and is for products only. This is a one time registration fee. OSDR # If you have a registration number enter it here. Otherwise leave it blank. Accepted file types: jpg, png, gif, jpeg, tiff. 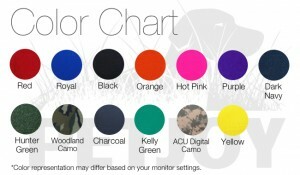 If you do not upload a photo now you can not purchase the premium kit. 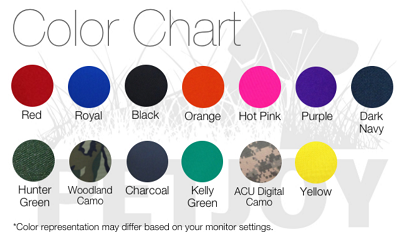 Please change your selection to standard kit. 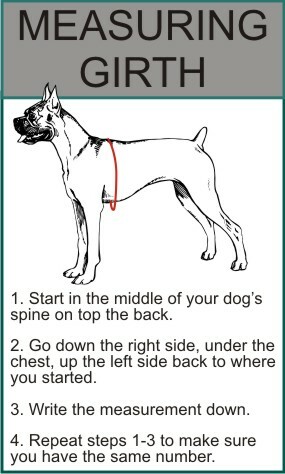 Measure your dog and select an option within the listed range. 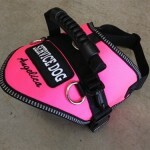 Dogs larger than 26" in girth automatically get a handle which you can remove if you decide you do not want a handle. 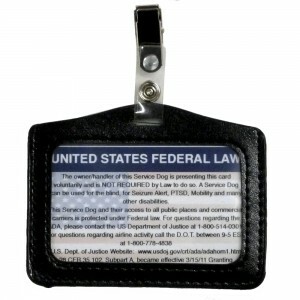 The main designation patch is Free. 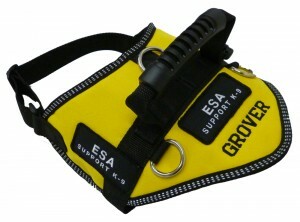 This entry is for your dogs name or whatever else you would like embroidered (up to 15 characters). I Agree To The Following Terms: I have checked the information in this order for accuracy. I understand orders containing address errors may be lost and unrecoverable and any loss is the sole responsibility of the buyer. I Understand this is a custom order and can not be canceled or refunded and can not be returned unless there is a defect in which the item will then be replaced only after your request is made in writing and approved by us . I understand that due to order processing logistics any changes after submission may not be possible.I understand using this order form that no registration services are provided. I agree to all terms and conditions listed on this website. 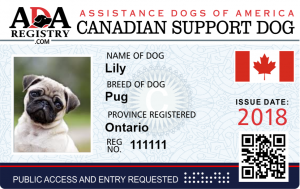 Id cards and complete kits are available for Service Dogs, Therapy Dogs & Emotional Support Dogs. 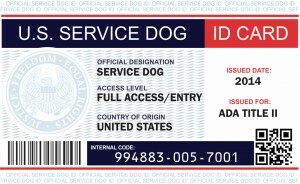 People with service animals must be allowed access to all public accommodations. This right takes precedence over all state and local laws which might otherwise prohibit animals in those places such as Stores, Malls, Restaurants, Hotels/Resorts, Airlines,Cruises, Taxi cabs, Buses just to name a few. 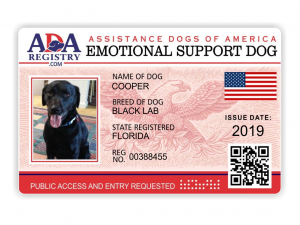 Any size or breed of dog can be an emotional support or service dog, emotional support dogs do not have to be professionally-trained to perform any task. 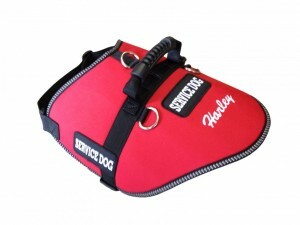 Service dogs can be trained by their owners or in any other manner the owner desires.